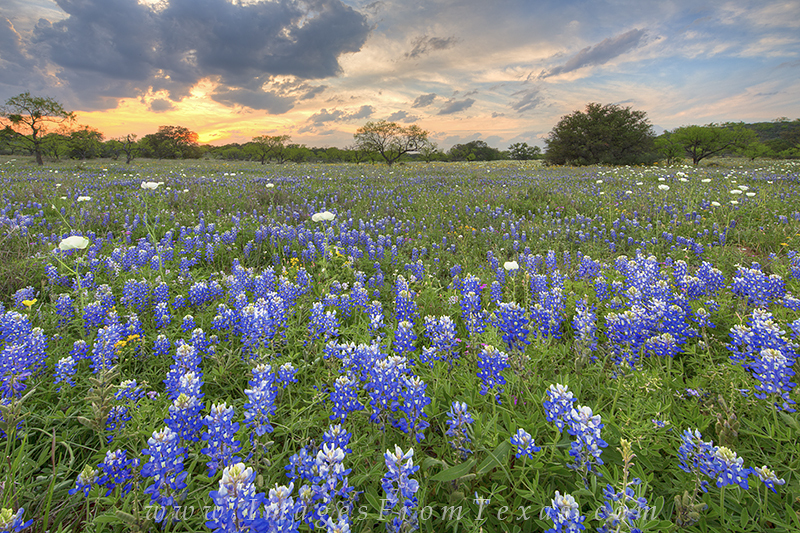 Springtime Sunset in the Texas Hill Country can be a beautiful experience. With a field of bluebonnets and white prickly poppies in the foreground, this evening sky seems to catch fire near the horizon, ending the day in a blaze of glory. Photo © copyright by Rob Greebon.